Even with the temperatures outside dropping, we don’t think it’s ever too cold for ice cream! So for this week’s Tasty Tuesday, we decided to head to Ben & Jerry’s. 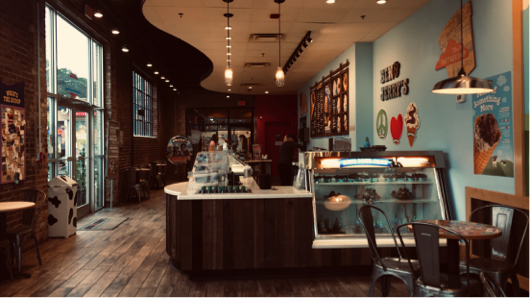 The Ben & Jerry’s on Hillsborough Street, located in the Royal Bakery Building, is a great place to grab a quick dessert after lunch or dinner. They have a great variety of ice cream flavors, including dairy-free options. With countless possibilities, you can ask to try as many as you want until you land on something you fancy. When you go inside, the shop decor really catches your eye. It’s very colorful and that adds to the great aesthetic Ben & Jerry’s is known for. 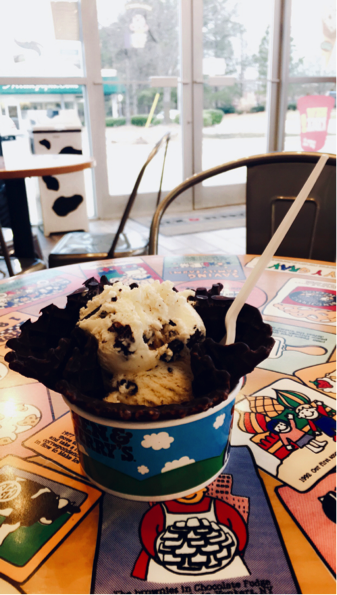 They have tables to accommodate people that want to hang out and eat their ice cream in the shop, making it a perfect hangout spot for college students. I decided to get their mint chocolate chunk ice cream in a chocolate dipped waffle bowl, and it was so good! It’s been a while since I’ve had Ben & Jerry’s ice cream, and it definitely reminded me of what I was missing out on. Whether you are looking for a quick snack or a place to hangout with a sweet treat, Ben & Jerry’s is the place to go. 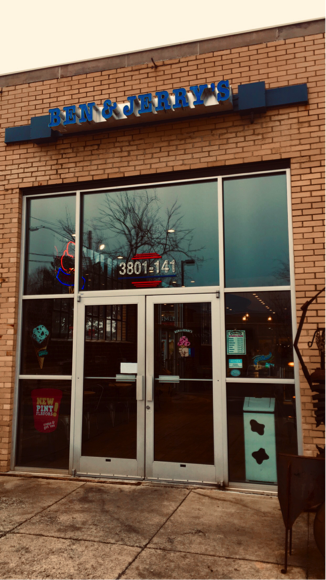 Visit them at 3801 Hillsborough Street - they’re open daily from 12pm-10pm.